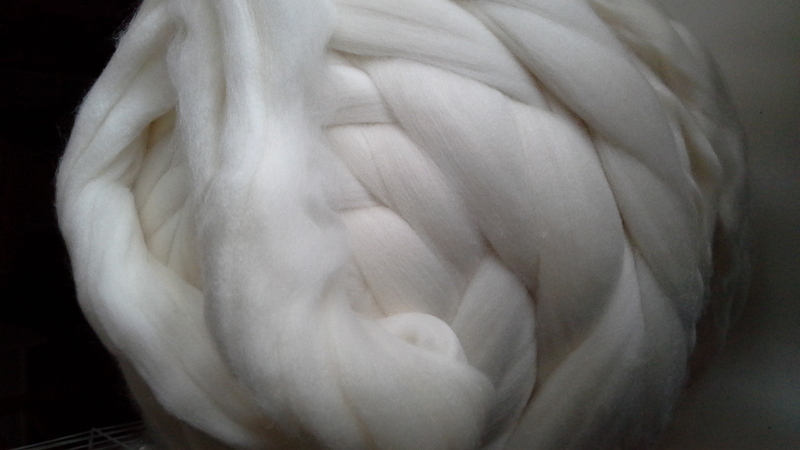 200g of gorgeous natural creamy white fibre for spinning, dyeing, felting. I am thrilled to once again be able to offer Wendy Beer's Beersheba Farm (Vic) 18.5 micron superfine merino wool combed tops of guaranteed single source. Soft, silky and superb quality : a robust fibre which generally resists pilling, takes dye beautifully and is suitable for next-to-skin wear (under the itch factor). Comes in packs of 200g.